Studying Pirates at school? Bring your whole class along for an educational trip! Students will love travelling back in time for this rare opportunity to experience local history and meet some living legends! The imaginative and inspirational Pirate’s Quest Experience covers a whole host of educational themes. 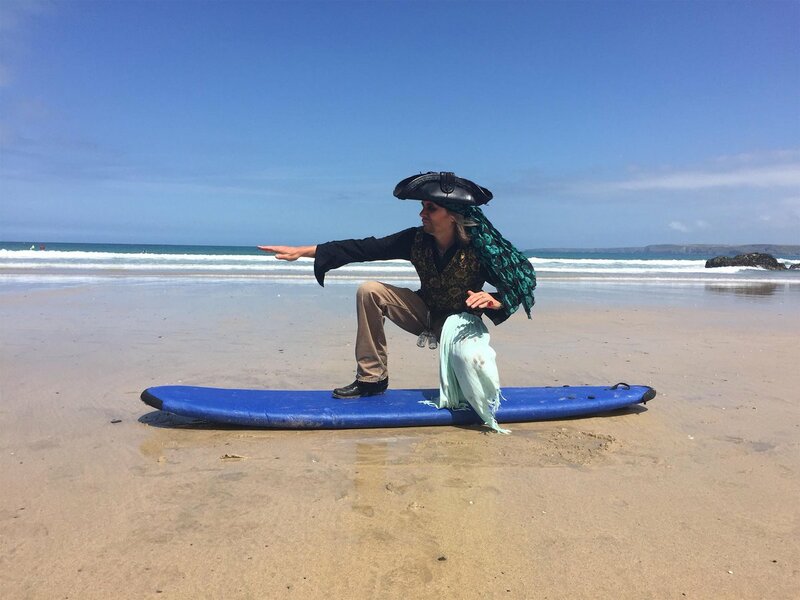 The adventure features Cornwall’s local history including smuggling and piracy, as well as the County’s famous myths and legends. All the content is based on fact or existing local mythology, covering a whole host of educational themes, making this a perfect visit for students of all ages. Every performance can be pitched to each group specifically, allowing it to be enjoyed by students from KS1, KS2, and KS3 – primary school swashbucklers learning about pirates or secondary school teens studying the 18th Century. Educational Groups can extend their piratical adventure with an optional hour-long workshop led by an authentic pirate, in the Pirate Academy Education Room, including hands-on activities followed by a ‘question and answer session’ with one of the crew. This works perfectly for classes of approximately 30 – half embark on the Pirate’s Quest Experience, while the others participate in the workshop, then both groups can swap after an optional lunch break. Prices start from £6.50 per student for the Pirate’s Quest Walkthrough Experience, and from £9.50 if you wish to include the Workshop Session. Click here for Public Liability Information. FREE Teacher pre-visits available at select times. Familiarisation visits welcomed to ensure that your school trip is as successful as possible.